We’re looking for someone who has a way with words, and will be able to communicate our brand voice. You’ll be joining at our HQ in Glasgow. Our mission is to make online freedom open to anyone. Our product may be tech, but our brand is not technical. We like to speak in “plain english”, as the language our audience uses, and not to be formal or corporate. This role has incredible opportunity for growth and the right candidate can become a key player in a fast growing business. 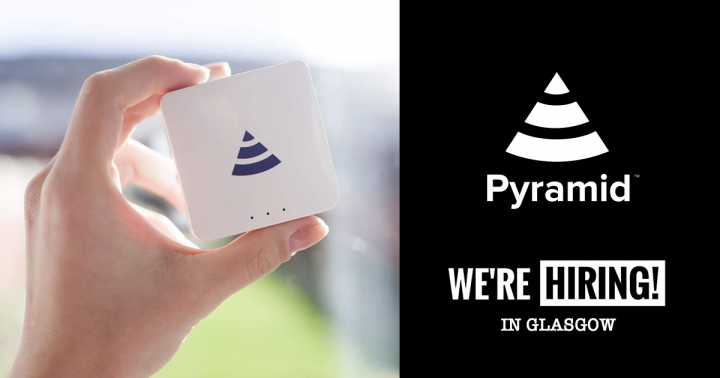 You want to be part of the team that makes Pyramid! You can demonstrate an interest/experience in copywriting, marketing or digital creative work. Great people. Join 15 other passionate and ambitious people at our growing and collaborative HQ in Glasgow. Flexible working hours. If you’re not a morning person, you’ll be glad to know we focus on results and not when you start. Great culture. We have an authentically good culture as a small and ambitious start up (not a corporation with bean bags). Potential to become a key player in the business, with potential for growth in salary and equity for the right person. This position will be available on a full-time basis. Please submit a CV and covering letter through the Adopt An Intern online application form.